WordPress is a blogging platform – that’s the statement used to describe the platform a few years ago. However, WordPress has seen a massive growth cycle and established itself as a comprehensive Content Management System (CMS). With advanced plugins and tools available, you can create any website you want on WordPress. In case, you are looking for a platform for your website or thinking to migrate your current website, WordPress can be the right choice. For crying out loud, 26% of the entire web is powered by WordPress. It is the most used CMS in the world, owning 59% share in the market. There are almost 500 WordPress websites made every single day. WordPress is used by The New York Times, TED, Forbes, CNN, TIME.com, and many other popular websites. Oh boy! These numbers were mind-boggling, but they do make a very strong case for WordPress. Free platform: WordPress is free. It simply means you can download it and do whatever you want. Since it is an open source platform, you can access its source code as well. There are countless plugins and WordPress themes available for free. Also, numerous WordPress gurus and consultants are available for help. They are constantly contributing to the platform. So once you enter the world of WordPress, it will feel like a love-fest as everything will be provided to you without even asking. Security: WordPress hasn’t become the most used CMS without giving utmost priority to the user security and protection. The internet is a vulnerable place where hackers and spammers are always around the corner threatening to take away your peace of mind. In such insecure environment, it becomes more than ever important to pick a platform that’s inherently secure. Thankfully, WordPress understands the need of the hour and responds tacitly with the impenetrable divide between you and the culprit. Moreover, there are many free WordPress security plugins available for WordPress that can enhance your security measures. WordPress indeed provides a safe shelter for your website. SEO friendly: WordPress is one of the few CMS that gives value to search engine optimization. The platform is known for its SEO friendliness. By nature, WordPress is search engines’ favorite. Also, it supports your efforts of trying to rank better in the SERPs (search engine result pages) by providing numerous free SEO plugins. It is not a hidden truth that Google loves fresh content and websites that add new content constantly are more likely to rank better. WordPress makes adding content to the website extremely easy. Even a non-tech savvy person can do that hence making you more favorable for the top position in SERPs. WordPress is as easy as ABC: One of the prime reasons for WordPress popularity is that it is very easy to use. Out of all CMS available in the market, WordPress is the only one that can be learned and used quickly. Even if you don’t know anything or little about WordPress, you can navigate through it with ease and comfort. There are a ton of resources existing on the internet that can help you understand WordPress. Blogs, videos, podcasts, e-books, infographics and plenty more is readily available for free. WordPress is literally as easy as ABC. You only need to show a tad bit of willingness to learn it. It keeps getting better: The success behind WordPress has one secret – it keeps getting better with each passing day. And why wouldn’t it be? The company behind WordPress has a talented team of experts that work on the platform every day. However, the real people are WordPress volunteers who contribute and actively support the platform. They are real users who spend hours on WordPress and come with innovative solutions for each problem. The essence of WordPress lies in the ideology of giving back. And that’s why the WordPress community is always looking ways to make it better and better. WordPress is famous for personal blogs. It started its journey as a platform that makes blogging easy and later grew into this giant CMS. So it is still a favorite for personal websites and blogs. There are so many free themes and plugins available that can help you make your personal blog stand out. You can establish your personal blog on wordpress.com or go for a proper self-hosted WordPress website for personal use. SaaS stands for Software as a Service. So basically the website owner is providing you service in form of software. Saleforce.com is a perfect example of a SaaS. In fact, Google Analytics and KISSMetrics are also SaaS. If you also have a similar business idea, then go to WordPress and create a SaaS WordPress website ASAP. You can check OptinMonster as it is a Saas website built on WordPress. WordPress for the business websites wasn’t always the choice. However, now things are different entirely. A lot of businesses are choosing WordPress to showcase their products and services to the world. Regardless to say, WordPress is consistently performing exceptionally well for business websites. WordPress is a choice of Sony, Samsung, and many other brands. Since the platform has top notch themes, plugins, technical and customer support, business users have no issues whatsoever to create a website using WordPress. Kickstarter is the only name that pops in our head when we think about crowdfunding websites. Of course, you can start your campaign on Kickstarter.com or create your own crowdfunding website. Having a personal website gives you control over the content. You can decide what goes in or out. Adding a simple WordPress plugin can turn your website into a crowdfunding source. Also, you can use Ignitiondeck to take care of your crowdfunding project. E-commerce websites are online stores in the virtual world. You can go and shop just like you would in the real world. The increase in online shopping has given a great opportunity for businessmen to create online shops and enjoy hefty profits. An e-commerce website is usually very complex and sensitive since there are usually thousands of products and online banking transactions involved. WordPress has many e-commerce themes and supporting plugins which make it capable for e-commerce websites. We all have dreams of making next Facebook or Twitter. Well, that’s not possible because there can be only one Facebook and Twitter. However, you can jump into the Niche social media website. These websites are somewhat similar to online communities but social media websites are usually leaning more towards entertainment. Regardless to say, traffic is the soul of niche social media website. If you don’t have enough people visiting the website then the project is as good as nothing. A plugin called BuddyPress can let you create such WordPress websites. Job boards are very important these days. These are whole websites dedicated to posting about job opportunities. There are giant job search engines that have data about the world and then there are niche job websites that post details about a certain industry only. The internet needs good job boards that look good and provide relevant information in a precise manner. WordPress has plenty of themes and plugins for job boards. WP Job Board is a very popular job board plugin in WordPress. There is no shortage of news websites on the internet. One very definitive feature of news sites is that content dominates them. You will see paragraphs after paragraphs on every page. It is hard to make written words look good. So you need a website that presents content pleasantly with a hint of images here and there. Largo is a WordPress theme that’s ideal for news websites. It is visual, easy on eyes, responsive, and mobile friendly. Business directories like Yelp are the ultimate stop for any business to introduce itself. Of course, the general market share is pretty much occupied but you can always go for a niche business directory that focuses on one particular field. 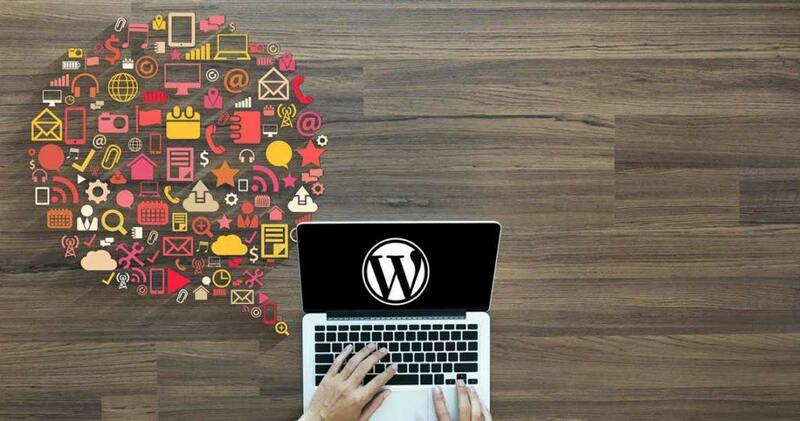 WordPress can help you with countless themes and plugins like Business Directory, WP Directory plugin, Directory (Templatic), Directory Portal, Directory Press, Sabai, Vantage, and eoTheme. WordPress surely gives you more than enough options to create a unique business directory. WordPress can also be used to create classified ad websites. We are mentioning a few themes and plugins that can assist you in building classified ad website. ListingBuilder, Classify, Carat, FlatAds1, Classiads, Jobify, ClassifiedEngine, WPJobus, ClassiPress, DirectoryEngine, JobEngine, WP Pro Automotive, WordPress Classified Ads Theme, Directory, and ClassiCraft are few names to consider when building classified ad WordPress websites. Quora, Yahoo Answers, and Stack Exchange indicate at the large target market looking for answers. Fortunately, you can still tap into the curiosity quotient present in people generally. People are always finding answers for all kinds of questions – from really complex queries to the simple ones. If this idea excites you and you also want to make such a website then WordPress is the right platform. AnsPress – Question and answer, DW Question and Answer, Sabai Discuss, and CM Answers are few plugins that can be used to make question/answer WordPress websites. Portfolio websites are compulsory for ever growing number of freelancers across the world. Portfolio websites provide an opportunity to an individual or company to showcase their talent in a way that highlights their strengths and qualities. Of course, there are ample of free platforms that let you display your portfolio but the advantage of owning a personal portfolio website is the utter freedom of customization. It would be wise to create a website with WordPress as it gives you the unlimited choices and options. Online communities become crucial at one point in your business. Once the product becomes popular and there is enough traffic on the website, you should think about creating an online community to facilitate your customers. It is also a huge leap as spam complaints and threats are pretty hard to manage. However, just remember the end goal i.e. to provide a healthy environment where passionate people can discuss and share openly. bbPress is the most used WordPress plugin for creating online communities. There are many websites that don’t need written content. They can deliver their message with photographs only. Image driven websites are a fun and innovative way for professional photographers to display their work. Imagine having all the photos on your homepage. Visitors can see all your photos just by scrolling down your website. Pingraphy and Viral are two themes that can build such WordPress sites. It is also a very good idea to make use of slider WordPress plugins that can enhance the display. Auction websites let you sell things to the highest bidder. A WordPress template for auction website can create a perfect auction website. You can display products and allow users to bid on them. Once the bid is finalized, the bidder can make an online payment and get the product while you make your share of profit. Any type of website that has monetary transaction involved becomes sensitive so you can add a WordPress security plugin to make the auction website more secure for your visitors. Since we are so used to seeing the websites in English, the idea of having a website in another language almost seems alien. Well, that’s not the case; WordPress supports a number of other languages and you can create a website in multiple languages as well. Having a multilingual website enables you to cater a diverse audience in their native language. A perfect example can be a multilingual news website that can deliver news in different countries in their own language. Knowledgebase websites are truly a blessing as they cover a subject entirely. If you are impressed with wiki websites and want a prototype of your own, WordPress has many plugins and themes. Pencil Wiki, Wiki Lite, Encyclopedia Lite, Simple TOC, Welcome WikiLite, WP Wiki User Profile, Wiki Embed, UserPress, and Knowledge Base are a few plugins that can turn your website into a mini knowledge hub. You may not create something as magnanimous as Wikipedia but still, you can play your part. The podcast is a series of episodes on any given topic in audio or visual format. Podcasts are usually informative and entertaining. There are many podcasting websites owned by various people. If you also have a great idea for a podcast and you want to initiate the process with your own website, WordPress can guide you. Just go and pick the theme and plugins and start your podcast WordPress website today. Membership websites are a great way to make money online. The basic idea behind these sites is to offer valuable services to paid members only. Your product or service must be exceptionally well for a membership website to work. There is not much traffic involved since the target market is limited. However, membership websites are sensitive as online transactions are involved. Membership2, a WordPress plugin, can convert your WordPress website into a membership website. How To Create And Build Website With WordPress? So far we have talked about the “why WordPress” question and 19 different types of sites that can be built with WordPress but what does it take actually to have a running WordPress website on the internet. Well, it turns out nothing more than a WordPress hosting provider and a domain name. Needless to say, your WordPress hosting provider should be adequate to deliver right services. Provided the number of WordPress websites available in the market, it is obvious to expect an abundance of WordPress hosting companies, which makes selecting one a difficult task. Well, we would recommend you to go for Managed WordPress hosting packages from WP Engine or Bluehost. It is just a suggestion from our able team of WordPress fanatics. You are obviously free to choose as per your will.